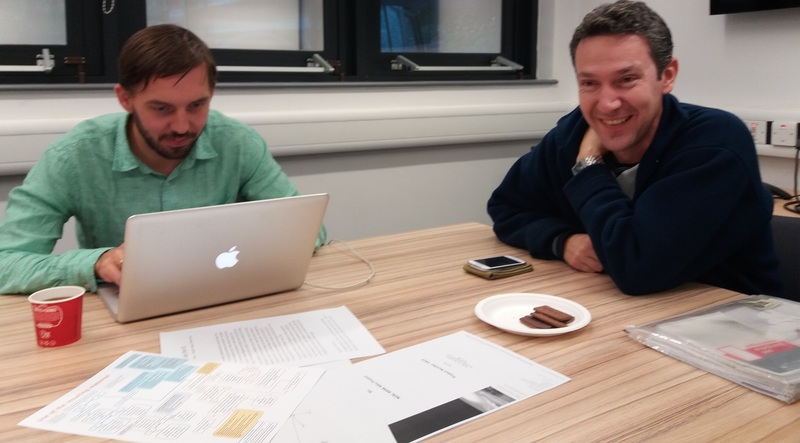 The second MAPeRR meeting was held at the University of Leeds this Monday and the team were together for the first time since our initial inaugural meeting early in the summer. The first challenge of the day was to find the meeting room the second to work out how to use the coffee machine! Both objectives were achieved. The first half of the meeting was very intense, each member of the team reporting on what they had achieved over the summer. We each had produced a report and took the other members of the team through our findings. Questions were asked and we discussed the range of issues that were highlighted in each report. We animatedly talked about the ways in which these key issues related to the MAPeRR case study and how these same problems were relevant for the individual projects which form the NERC programme, Resource Recovery from Waste (RRfW). An initial assessment of what the phases of the project required was decided upon and then mentally exhausted we adjourned for a much-needed lunch. Due to the excellence of the food last time we revisited the same restaurant and were equally impressed. We even managed to sit at the same table! We left satisfied and smelling of charcoal and barbecued food. Back to work, where we planned in more detail the next phases of the project and the work that each of us will be responsible for. The logistics of arranging when we could all get together again and how the work would be achieved were all thrashed out. We have split into teams each team bringing a range of skills from their own area of specialisation to the MAPeRR project. The next few months are definitely going to be interesting and intense! The mood of the meeting was very optimistic and we are all excited about what MAPeRR can achieve in the time we have left. As dusk drew in goodbyes were said and we are looking forward to meeting up again at the RRfW annual conference in early December! MAPeRR partners: The Universities of Hull (R3AW), Leeds (C-VORR) and Surrey and Stopford Energy & Environment.